Choose from a selection of 40 holiday rentals in Province of Cuneo. Use the search form to the left to filter the results and pick your choice of self catering accommodation in Province of Cuneo. We have a good selection of holiday apartments in Province of Cuneo perfect for family, single, romantic and group holidays. You may prefer to take a look at our listed holiday villas in Province of Cuneo or holiday apartments in Province of Cuneo. Find your holiday homes by a specific type using the property type drop down in the filter. Filter the holiday homes in Province of Cuneo by a specific area using the area list above. For your holiday in the mountains: bright apartment located in Elva, 100 Km west from Cuneo, at 1750 meters above sea level. Delightful holiday home in the hills outside the Langhe, 12 km from Barolo, in an area rich in castles and excellent wines. This charming holiday home dates back to the nineteenth century and is situated in the heart of the picturesque Langhe area. Elegant villa dating from the early 20th century with pool and garden, located in a valley at the foot of the Langhe hills. Situated 1.8km from the enchanting old town of Monforte d'Alba this charming holiday home is surrounded by the vineyards of the Langhe. Part of a semi-detached house in a historic building that belonged to the House of Savoy in Belvedere Langhe, a small village on a hill in a panoramic position. Located in the heart of the Langhe, a UNESCO World Heritage Site, charming holiday apartment in a rural house from the 1900s. Holiday apartment on the ground-floor of a 2-family-house with outdoor space and spa. Mountain and sports enthusiasts wishing to spend their holiday surrounded by nature can book this bright apartment located in Elva, 100 Km west from Cuneo, at 1750 m above sea level. Holiday apartment in a tourist complex in the sunniest area of the mountain village Limone, about 300 meters from the ski lifts and the ski slopes. In the heart of the Langhe, a UNESCO World Heritage Site, you can find this lovely holiday apartment in a rural house of the XIX century, surrounded by 6 hectares of organic vineyards. This nice holiday apartment lies in the mountain village of Limone Piemonte. Adjacent to the ski lifts on the ski slopes, this apartment is part of an elegant building complex. 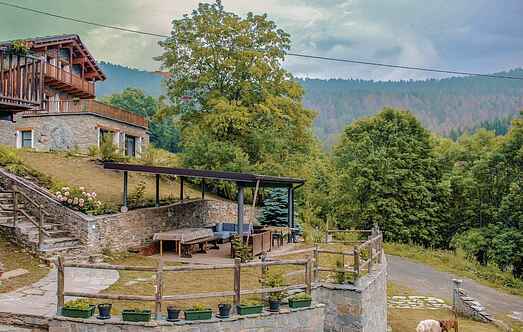 If you are looking for the peace and the silence of the mountains, when comfortably seated to admire the view of Monviso and the surrounding mountains, this is the ideal place.